And other Digital Music Stores. 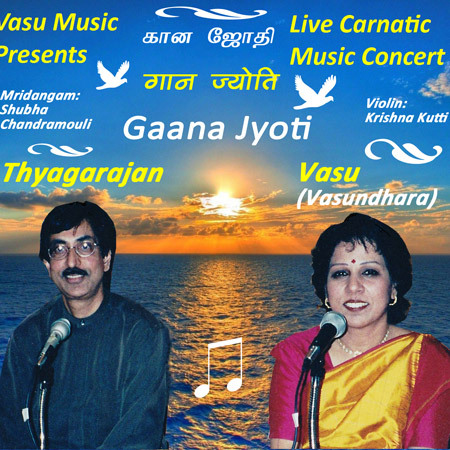 “Gaana Jyoti” – Live Carnatic Music Concert Album with Songs of Brilliant Light. Singer Vasu (Vasundhara) and Thyagarajan have beautiful, melodious voices. Songs are popular yet uniquely rendered. Violin: Krishna Kutti, Mridangam: Shubha Chandramouli . Enjoy!